Although the Austin Convention and Visitors Bureau would like everyone to call Austin “The Live Music Capital of the World,” that’s really a marketing slogan, not a nickname. Here are some of the other names for Austin through the years. Waterloo—The first European settlers in the area called their settlement Waterloo. 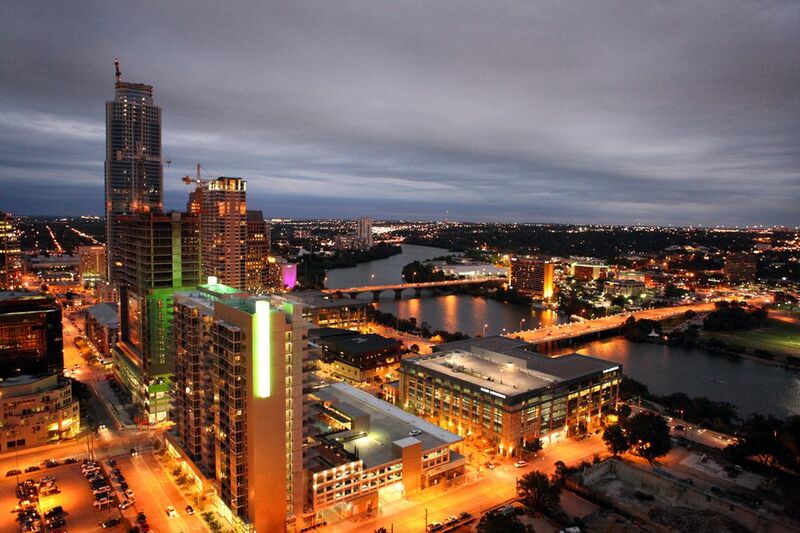 The city was incorporated under that name, but it was soon replaced when Austin became the capital of Texas. City of the Violet Crown—According to the Austin History Center, this fancy name was coined by O. Henry in a short story titled (equally mysteriously) Tictocq, which was published in The Rolling Stone newspaper in 1894. Capital City—Obviously, it’s because Austin is the capital of Texas. It’s sometimes spelled Capitol City, but technically, “Capitol” is supposed to be used strictly to refer to the capitol building, not the capital city. River City—It's probably one of many River Cities in the world and it’s because a big river runs through town. In Austin’s case, it’s a little odd, because the portion of the Colorado River that runs through downtown is actually contained within a series of dams. So the “river” in downtown Austin is Lady Bird Lake, and the portion in West Austin is Lake Austin. ATX—A newcomer to the list of nicknames, it’s not actually pronounced as a word. You just say the three letters: A-T-X, as in “Welcome to the A-T-X.” This one clearly has no point, so please don’t use it. Bat City—The bat colony that lives under the Congress Avenue bridge has become a de facto mascot for our town. This name appeals to some because it also reflects Austin’s penchant for keepin’ it weird. Silicon Hills—This nickname appears mostly in glowing business articles about Austin’s bustling high-tech sector. Although Austin does have plenty of tech companies, it’s not anything like Silicon Valley in terms of scale. People’s Republic of Austin—This nickname is really just a put-down in disguise. Many Texas legislators of a conservative bent resent having to spend time in this bastion of rampant liberal-ness, so they compare the city to communist China. Moscow on the Colorado—This is another dig at Austin’s left-leaning political tendencies. It rarely snows here, and typical summer temperatures in the mid-90s F would melt an average Russian. So the comparison doesn’t really hold up under scrutiny. Also, while Austin may be more liberal than most of Texas, it’s actually home to quite a few conservatives too. InfoWars nutbag Alex Jones even lives in Austin. Blueberry in Tomato Soup—Former Texas Governor Rick Perry referred to Austin as “a blueberry in the tomato soup” during an interview with Jimmy Kimmel. It was Perry’s attempt at diplomatically saying that Austin is a little odd (while realizing he was speaking to an Austin crowd during South by Southwest). His comments were met with a generous round of booing by the audience. Dirty 6th—This derogatory name for the 6th Street entertainment district has popped up within the past few years. The area has always been a little unclean, but the name has stuck because of the perception that 6th Street is generally in decline. Bubbaville—A term popularized by the late Austin American-Statesman columnist John Kelso, Bubbaville as a place may be on its last leg. It used to refer to the laid-back parts of South Austin that were home to working class “bubbas.” There are a few remaining pockets of Bubbaville, but they’re being shoved farther and farther south every year.